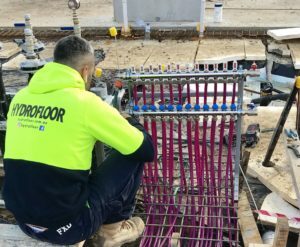 With more than 30 years of experience in hydronic systems, Hydrofloor is the company that homeowners, builders, architects and engineers turn to for their projects, large and small. The award-winning team at Hydrofloor can provide you with the most comfortable, efficient and versatile heating system available. And it’s a system that is more affordable than you may think. Contact us now for an obligation-free quote and be surprised. An eco-friendly system that blends in seamlessly. Silent and unseen, hydronic heating warms gently and evenly. Hydronic floor heating doesn’t encroach on your space — in fact, it leaves only open space; free of ducts or large wall panels, without any loss of room space. HYDRONIC floor heating utilises radiant heat transfer, not a hot fan-forced airflow. Surfaces remain clean and free of dust. The perfect solution for allergy sufferers, while the multitude of health benefits from preserving natural air humidity and circulation are enjoyed by all. You’ll also love the low running costs. Thanks to the radiant heat transfer through the installation of specialised REHAU® piping, hydronic heating achieves comfort at a lower ambient air temperature. No matter what energy source you select, hydronic heating consumes less. And the water that flows through the REHAU pipes is re-used over and over again, so it’s another tick in the box for the environment and for lower running costs. Hydronic floor heating can also utilise any energy source, including sustainable, with Hydrofloor experienced in hydronic system installations that run on solar and geothermal power. HYDROFLOOR hydronic heating systems need little or no regular maintenance. But our expert team is here if you need us. When your new heating system is completely installed, you’ll receive specialist advice on starting and stopping your system, programming heating times, setting heat zone temperatures and end-of-season flushing. Because Hydrofloor only uses REHAU scale-, leak- and corrosion-resistant tubing, your hydronic heating is unlikely to need repair. And you’ve got the peace of mind that all system pipes and joins are backed by the 25-year, $200K REHAU guarantee. Not that you’ll need it. Your Hydrofloor hydronic floor heating system should last a lifetime. 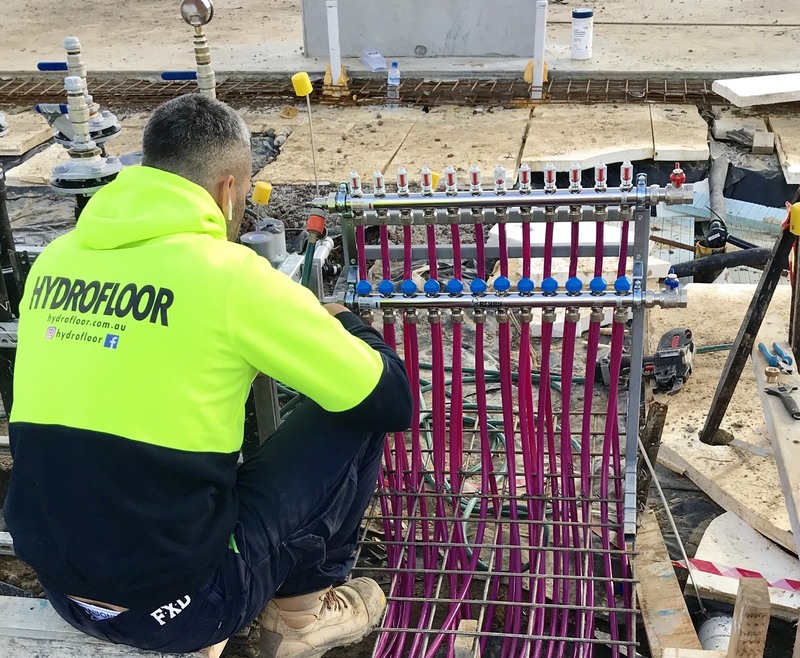 If you or your clients are designing, building, extending and/or renovating anywhere on Australia’s eastern seaboard or southeast states, ask us about your options — we can guarantee Hydrofloor has the solution for you. Whether it’s single-storey residential or multi-level commercial, there is no project that Hydrofloor hasn’t done, and no project that Hydrofloor hasn’t successfully completed. … and all that’s visible after hydronic floor heating is installed, is, well, your floor!